After stepping out of the hangover from celebrating ten years, we felt we needed to make a few changes. For the first twenty issues, we always put our favorite models on our covers, so a lot of people think of us as a fashion magazine. But we’ve always seen ourselves as a wide-interest youth cultural patchwork of up-and-coming talent—though sometimes these people were good-looking and fashionable as well. Since we’re passionate about subjects like art, architecture, culture, dance, design, film, literature, music, and politics, we thought that this should be represented on our covers too. So we decided to turn out four covers this time, with musician Billie Eilish (our first print subject born in the 2000s! ), model Adut Akech, and actors Ashton Sanders and Olivia Cooke. What they all have in common is that they represent the spirit of this publication: doing whatever you want and doing it your own way. 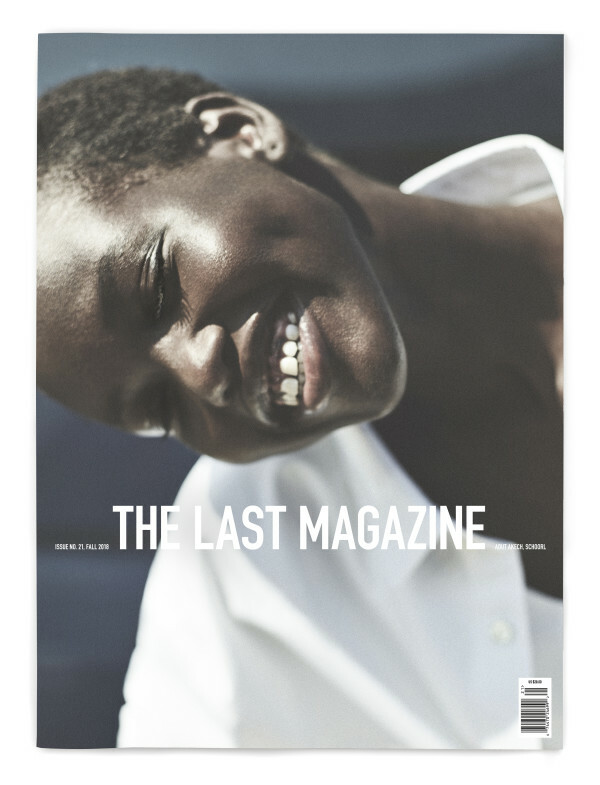 On the cover: Adut Akech, photographed by Annemarieke van Drimmelen.